The 79-ft Eden is designed for the comfort of its 16 passengers on their Galapagos cruise with sundeck, restaurant/bar and small library. Built in 1996, the Eden was completely refurbished in 2012 and now offers an elegant interior with 8 double cabins, located on 3 decks. 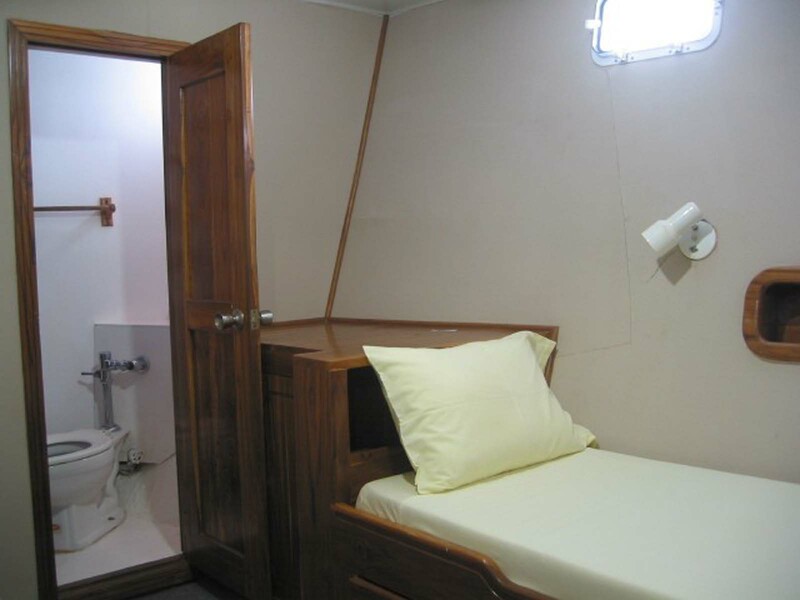 Four cabins have 2 lower berths; 3 have upper and lower berths, and 1 has a queen bed, all air-conditioned with private bathrooms and hot shower. Dates: Weekly departures. 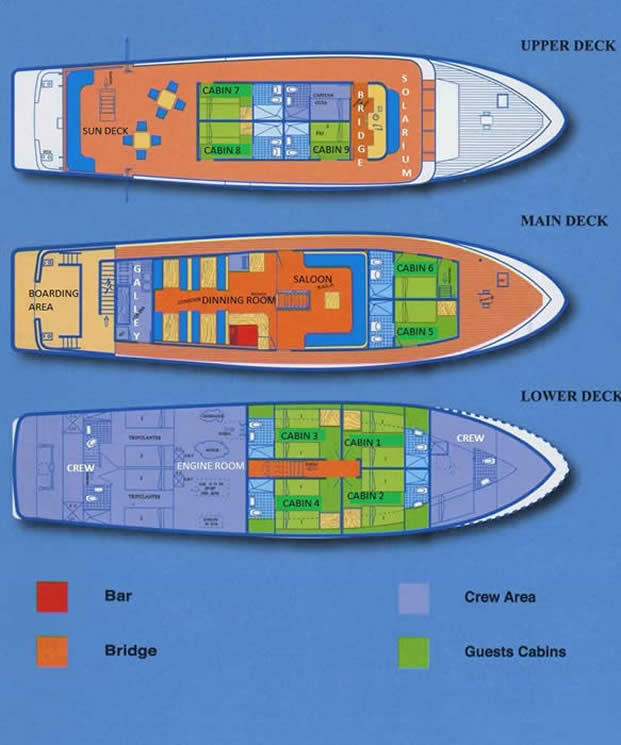 The Eden offers 4, 5 and 8-day cruises and extended 10 to 15-day cruises. 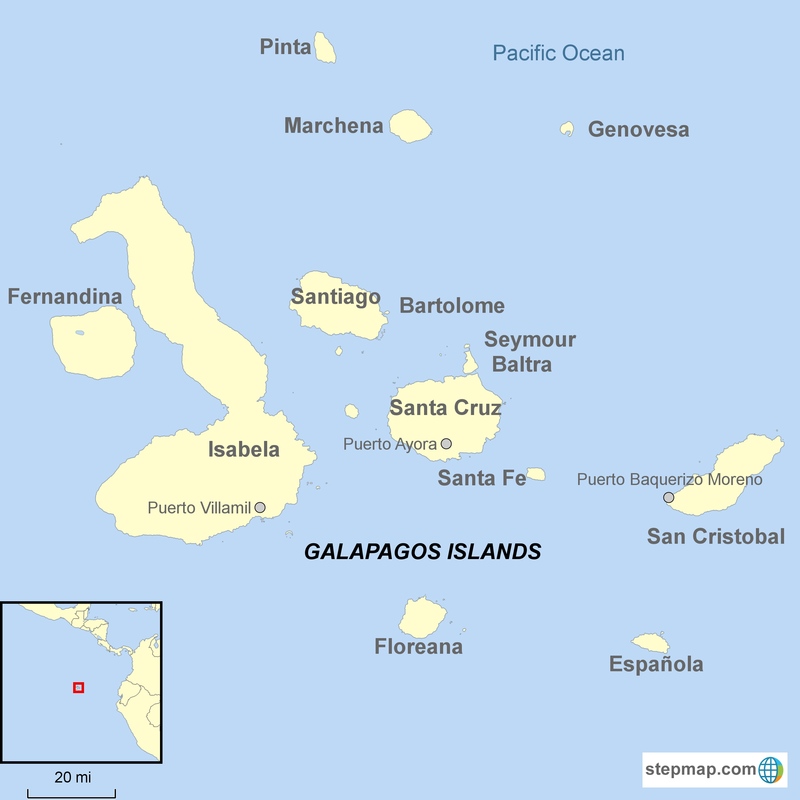 Our Galapagos tours include pre and post night in Quito or Guayaquil.